I was taking a look at my website the other day, and I happened to notice how many of my titles have been put out by Infinity Plus ebooks – most of my back-list, in fact. In days of yore, before ebooks, these books – collections, novels, and novellas – would have rapidly fallen out of print and been unavailable. Happily we live in an age where that need never happen. What is particularly gratifying about having my backlist so readily to hand is that many of the titles are ones which are close to my heart; the collections The Time-Lapsed Man, and Blue Shifting, and The Fall of Tartarus, contain some of my best shorter work, and my finest novella, A Writer’s Life, is also available, as well as my first novel, Meridian Days, and the title which is a steady seller as an ebook, Penumbra. If you’re a fan of ebooks, you could do worse than check out a few of the following titles – all at incredibly competitive prices. 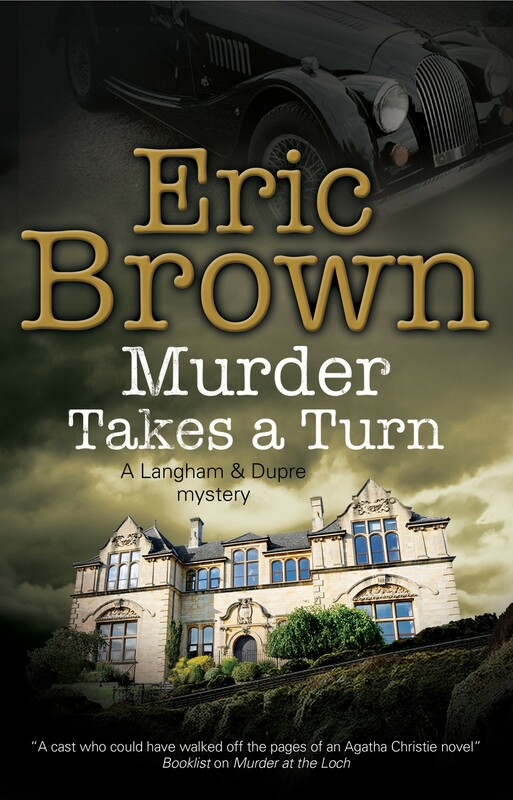 Out now from Severn House, the latest Langham and Dupré mystery, Murder Takes a Turn. It’s my favourite of the five I’ve written so far, featuring a fascinating cast, an ingenious murder method, and some fine detection from Donald Langham. When Donald Langham’s literary agent receives a cryptic letter inviting him to spend the weekend at the grand Cornish home of successful novelist Denbigh Connaught, Charles Elder seems reluctant to attend. What really happened between Elder and Connaught during the summer of 1917, nearly forty years before – and why has it had such a devastating effect on Charles? When a body is discovered in Connaught’s study, the ensuing investigation uncovers dark secrets that haunt the past of each and every guest – including Charles Elder himself.